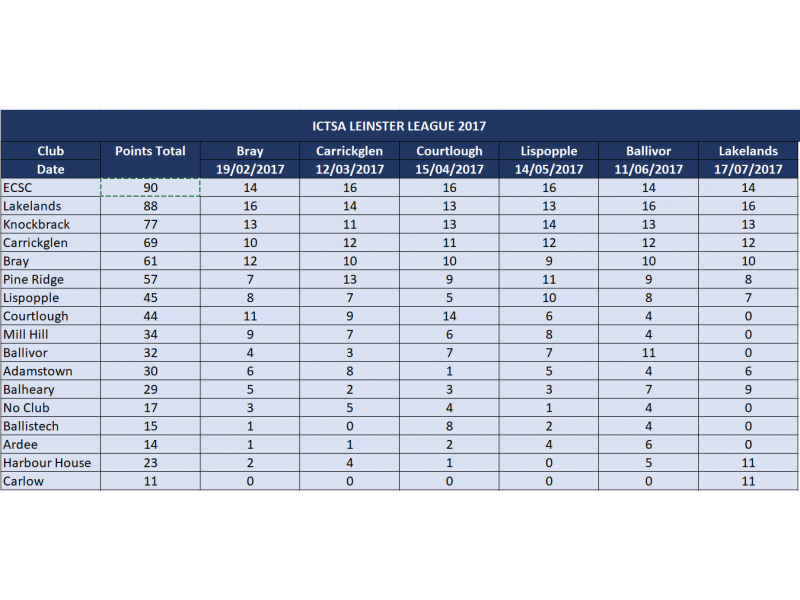 League Table after Leg 6 in Lakelands Shooting Centre, Mullingar. 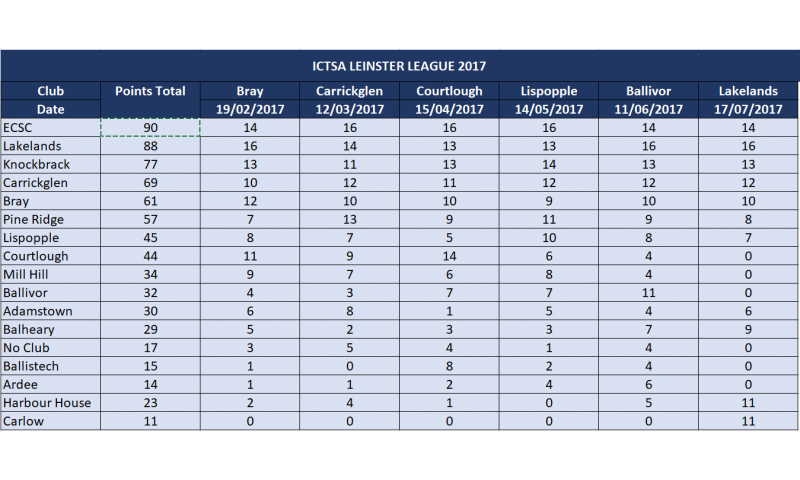 ECSC are still just about topping the table with an impressive score of 90. They're followed closely by Lakelands with Knockbrack in third position. Thanks to everyone who came out to shoot last weekend.